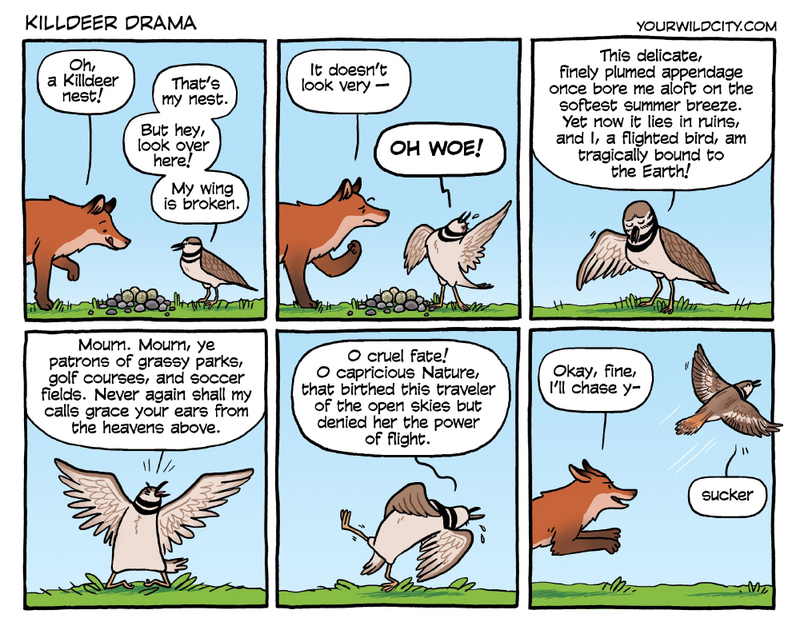 This week’s comic is about a North American bird that often nests on flat suburban spaces. It acts its heart out to protect its babies. If you find a Killdeer nest, give it tons of space so these dramatic stars can save their strength! See a video of a killdeer display here.